Manchester City have been left unrivalled in the race to sign Alexis Sanchez from Arsenal, with both Bayern Munich and Chelsea out of the running. Last night, Bayern Munich president Uli Hoeness all but confirmed what has been speculated recently – Bayern Munich are giving up on Alexis due to the enormous financial commitment a deal for him would require. Chelsea were strongly tipped to be frontrunners for Alexis’ signature at the end of the season, especially when the 28-year-old dropped a major hint that he’d like to stay in London – just at a different club to Arsenal. However, the Premier League champions have focused on other targets with The Independent today reporting that they are understood to be out of the running. 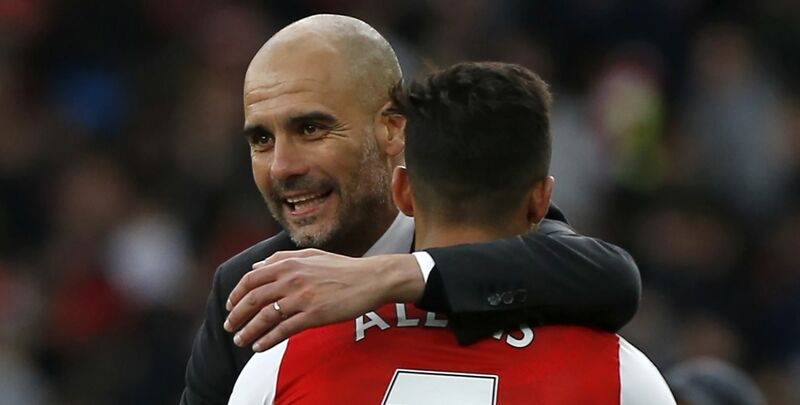 This leaves two realistic options for Alexis: stay at Arsenal or join Manchester City, with more and more reports across the world stating that he wants the latter, a reunion with Pep Guardiola at the Etihad Stadium. Yesterday, The Guardian ran a report in which journalist Jamie Jackson said City are increasingly confident of signing Arsenal star Alexis Sanchez. Today from Spain, both SPORT and Mundo Deportivo, two Catalan papers with links to the ex-Barcelona men at City, have played up the Blues’ chances of signing Alexis, despite Arsene Wenger’s extreme reluctance to sell to a Premier League rival. The latter of the two, Mundo Deportivo, states that Manchester City are ‘in no hurry’ to open negotiations with Arsenal, knowing that the clock is ticking for the Gunners if they want to make some money on their star player. Even going into the final year of his contract, Arsenal can expect to receive around £50million from City for Alexis – as opposed to nothing if they let his contract wind down. Once Arsenal sign a replacement – bids have been made for Alexandre Lacazette and Thomas Lemar – they may be more minded to cash in on Alexis and further invest in their squad for the long term. Sanchez will go on vacation after the FIFA Confederations Cup and if City are to sign him, which appears likelier than ever before, it may be a long wait until we see him in the sky blue. But the signs are good that Manchester City’s patience and persistence will pay off and Pep Guardiola will land his primary target this summer.